A manufacturing firm with over 100 years of heritage, Cooper & Turner, is planning to invest in a new office building at their existing premises at Canklow Meadows Industrial Estate, Rotherham. Cooper & Turner is one of Europe's leading manufacturers of bolts, nuts and washers used in the energy, rail, construction and other engineering sectors. It acquired the former home of Manheim Motor Auctions in 2012 and, to support further growth, a new extension was completed in 2013 to infill the space between the two existing units and create substantially more floorspace. The site incorporates a 120,000 tonne stock holding facility and the group moved towards a full distribution network. Cooper & Turner has local operations consisting of a manufacturing business near Magna on Sheffield Road, Sheffield, and the distribution / light manufacturing business at Canklow Meadows, Rotherham. Recently submitted plans show that the light manufacturing and distribution facilities, office and training space is now inadequate and disjointed relative to the main operations of the business. Having continued success in exporting products for wind turbines and in structural engineering, the firm is branching into new sectors including direct line feed and oil & gas. Over the past 12 months, 20 new jobs have been created as capacity has increased by 36,800 sq ft at Canklow Meadows. 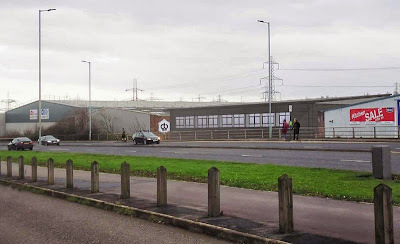 If approved the new offices could see staff relocating from Sheffield Road, providing the opportunity to remove internal works offices and create more manufacturing space, which would ultimately lead to extra job creation. Architects, Race Cottam Associates, have now drawn up plans for a new office on the Canklow site that will be used to bring together sales, purchasing, finance, marketing, CPU and HR departments in the same building. It is also set to house a training centre for the firm's apprentice academy. Just over 9,000 sq ft of office space is planned and is likely to be considered ancillary by planners. A two storey structure would sit alongside Cooper & Turner's current buildings, and the adjacent Wickes outlet, onto West Bawtry Road. The planning documents state: "The new development is required to provide Cooper and Turner Ltd with additional and modern office and training accommodation, which is urgently needed to allow the company to continue to grow. "The development will create new facilities and new jobs in Rotherham and bring significant enhancements to the site and to Canklow Meadows Industrial Estate as a whole." Cooper & Turner and McLean Buchanan and Wilson (MBW) joined forces in March 2007. Joseph and James Turner founded a gun barrel business in Birmingham in the 1800s. Having expanded the business into other areas, including rivet production, the company was amalgamated with Henry Cooper & Co in 1912. Production was moved to Sheffield and the company continued to be successful, supplying products for a wide range of applications including battleships and Ford's Model T cars.